Mr. Cogan is a wonderful writer. His eloquent, articulate and image-evoking pen is no doubt the reason he is so revered. Writing style aside, his robust command in communicating a message is equaled by few, particularly in the hack-ridden “letter to the editor” arena. I may not always agree with his position, but I delight in his wit and rhetoric. 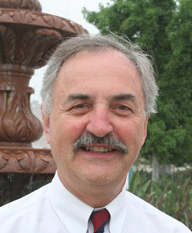 Comparing Rick Collins effort to enlighten San Clemente to McCarthyism however, is farfetched. The tactics may bear similarity, but certainly not the motivation. A recent newspaper article publishing an email thread proving councilman Wayne Eggleston was less interested in due process than a business owner’s rights was reason enough to question his integrity. Planning commissioner Brenda Miller, a fervent Charles Mann supporter and intimately involved in the anti-measure C effort and Mann campaign, exercising illegal behavior could be seen as an example of corruption and cronyism. The Mann campaign website proudly displays an image of Mann and Eggleston smiling near the Marine monument in the pier bowl. 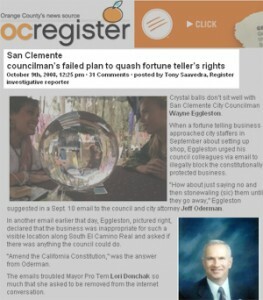 Mr. Mann’s attempts to mislead the residents of San Clemente on the measure C ballot arguments were well documented. The problem was that the Pacific Golf rezoning issue made Charles Mann a rockstar. 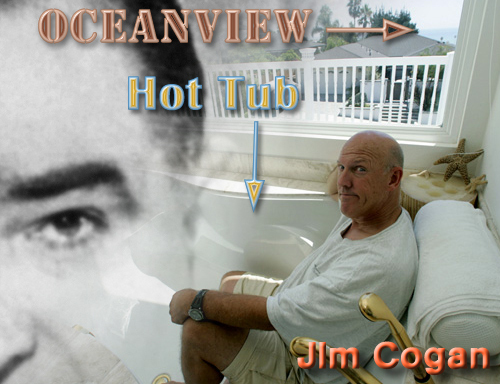 Save San Clemente Open Space, (Mann, Jim Smith and Gary Hopp) set up a perfect Davy and Goliath scenario and Pacific fell full-force into the trap. I mean how hard is it to vilify a “Los Angeles” developer. That said, it was important to loosen the foundation of what could be perceived as a collusive power grab in city hall. The only way to broadcast that message effectively was with a broad stroke in a grand gesture. That’s precisely what Mr. Collins did. You may not agree with Mr. Collin’s but there is truth in what he says, and if at the very least it leads you to pay closer attention to what takes place at 100 Avenida Presidio, it was worth it. Sorry Mr. Cogan for the poor grammar. The highly emotional, and sometimes controversial November 2008 elections in our Spanish Village by the Sea are behind us, FINALLY! City council incumbent Jim Dahl and newcomer Bob Baker narrowly beat Steve Knoblock to nab two city council seats. Measure W (North Beach Project) was approved by 53.4% of the vote. Measure V (open space initiative) was a clear winner. This political season was once again rife with vehement disagreement and biting criticism. Opposing sides accusing each other of deception and fact distortion. Apparently it’s not enough to simply disagree on an issue in today’s political climate and sort things out with intelligent thoughtful debate. One group here in San Clemente finds it necessary to exaggerate certain aspects of an issue, and when that doesn’t work, they simply use their own math and spend tens of thousands of dollars to saturate the landscape with their skewed message of divisiveness. Self-proclaimed defenders of posterity, employing questionable tactics in an exercise of ruthlessness. One Notable event this cycle includes Save San Clemente Open Space stalwart and planning commissioner Brenda Miller being popped for illegally removing anti-Mann/Baker signs. Ms. Miller was a fervent opponent to Measure C and intrinsically involved the Save San Clemente Open Space activities with Charles Mann. Obviously, Ms. Miller was also involved with Charles Mann’s bid for a seat on the city council. I remember Ms. Miller from the referendum petition drive in the summer of 2007 and a wave of suspicion washed over me upon learning that she had been chosen to be a planning commissioner for the city. Her recent actions in the removal of legally placed campaign signs is unacceptable and her next official move should be resignation of her position. It would be the honorable thing to do, however honor is an unpracticed trait in the crowd she runs with. Poor grammar aside, my heartfelt congratulations to Barack Obama, and the democrats, Jim Dahl, Bob Baker and the supporters of Measure W. My intentional omission of Measure V is predicated on the opinion that the spirit behind it was purely for campaign purposes. This assertion is supported by the actual text of the measure itself. Upon close inspection of the document there is overwhelming evidence that it simply has no teeth, no current application and most likely will be shelved and forgotten. Todays winners were yesterdays and will be tomorrows losers. San Clemente, once a sleepy surf town at the southernmost tip of Orange County, California has become a hotbed of controversy. Neighbor against neighbor, children ordered to avoid their friends, grown people throwing feces at the house next door or committing misdemeanors in the name of politics. Not what you would expect in an otherwise small friendly town populated with college-educated professionals and business owners. What is it they say about”One Bad Apple?” So many of us aspire, or pretend to aspire to the idyllic ideals of the 60’s phenomenon. We sell ourselves on the idea that we support and live by selfless priority. Our actions indicate otherwise. In fact, not many of us consider the greater good in daily decision making. If we did, we’d all take the bus or ride a bike to work. We’re extremely selfish in deed and dangerously manipulative in practice. Yet we want to think better of ourselves so we tout the ideals of an era that came as close as any to actually caring about global peace and the world as a whole. Under the social microscope in relation to larger metropolitan areas, San Clementians appear to be small fish in a small pond. Easily fooled by demagogues. Yet more troubling through it’s transparency here is the apathy on one end of the spectrum, and blind faith on the other. Our forefathers risked life and limb so you could speak your mind. In fact, our soldiers are still fighting to the death so that you can choose between McDonald’s or Burger King. Let me put it this way, our nation will fail if we, as it’s citizens do not participate. Our country was built on your right to choose. That freedom comes with a responsibility. If we are not willing to honor that responsibility, then we will most certainly lose. If you say “My Vote Doesn’t Matter”, then you are part of the problem, not the solution. Here’s the dig. YOU NEED TO PAY ATTENTION!!! Use your own eyes and ears to absorb the information. Use your own mind to parse the data. Trust your instincts. The messages often are convuleted or corrupted by the messenger. Get a sense about the messenger. Manipulating emotion is standard business practice, designed to trick you into making decisions without actually thinking it out. Don’t allow others to manipulate your emotions. They know you, they know how to flip you, don’t let them. Amazing ride. Protagonists, antagonists, passion, hostility, clandestine operations, derision, deception, “Spins”, petitions, court rulings, and finally a controversial ballot measure where 50% of the voters in the city participated in a Primary election. Any pollster will tell you that is a high percentage for any election, but particularly so for a primary. Ultimately there was a victor and the defeated. In the case of Measure C, San Clemente, what does the victory mean? You saved open space? You prevented traffic congestion? Maybe, maybe not. I wish that for just one election people would actually read up on an issue and not just the signs along the side of the road. A victory for the NO’s here means that the patch of dirt on Vista Hermosa/La Pata will remain so for many years to come, that a new Senior Center will not be built anytime in the near future, nor the wall necessary to complete the new fire station. Parents will still have to drive their sports playing children to Aliso Viejo, Mission Viejo and San Juan Capistrano because the city they live in won’t accomodate them. We’ll stay the same, stagnant. We will have Charles Mann’s favorite nine-holes. Unless of course the club closes. Hooray. The group “Save San Clemente Open Space” neglects to weigh in on a conversion of open space just two weeks after a locally publicized open space issue. Last Recreational Open Space in San Clemente, PLEASE! 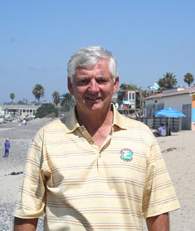 Charles Mann and the group “Save San Clemente Open Space” want you to believe that Pacific Golf Club represents the Last Large Recreational Open Space in San Clemente. The city of San Clemente has one of greatest percentages of open space in all of California. Do you know how many cities there are in California? They will say anything, meaning they lie like crazy, to get your support. The faux-environmental group, “Save San Clemente Open Space”, blatantly misleads the residents of San Clemente by gathering their signatures on the premise that the voters should decide the fate of “Open Space”. Then when they get the opportunity to have the residents actually vote on the issue, they turn around and plead with the City Council to have them repeal their approval of the project. Thereby taking the vote away from the residents. 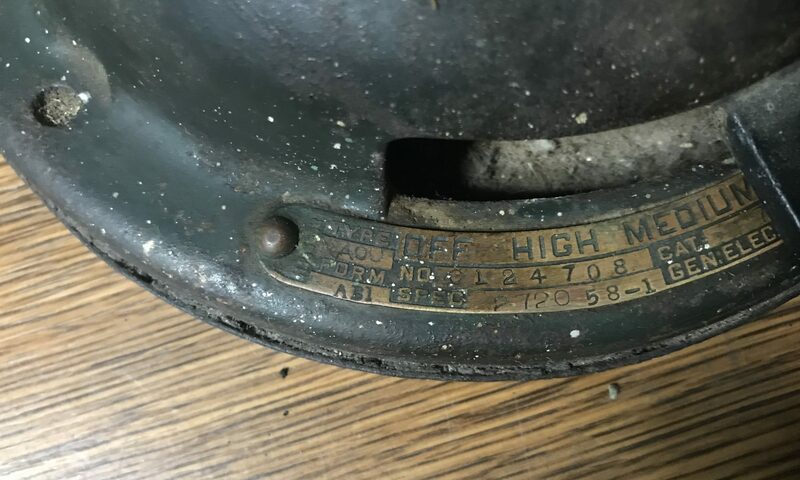 The very tool they used to get us to sign in the first place. This is a remix of an earlier clip, the sound is cleaned up a little and the correct logos are inserted at the end. Gary Hopp exploits the emotions of Talega parents.